Throughout the day there are two rooms to choose from. The day has 4 sessions (2 speaker sessions, 1 panel session, 1 breakout session), making 8 talks in total. There is also a coffee break, lunch, and a networking hour at the end. 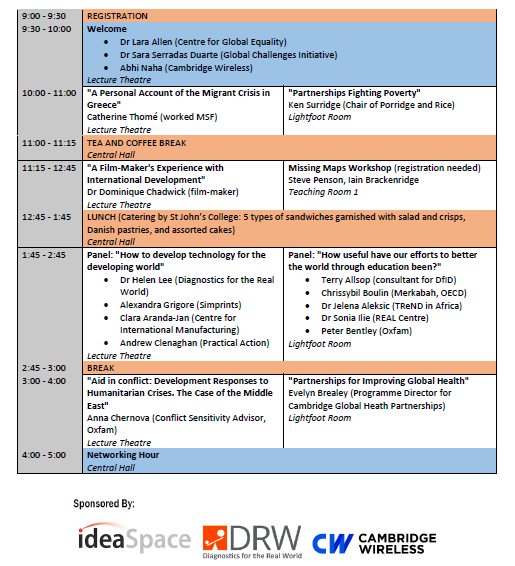 There are confirmed speakers from a number of organisations, including Médecins Sans Frontières, Oxfam, Practical Action, Simprints, Cambridge Global Health Partnerships, and Missing Maps. 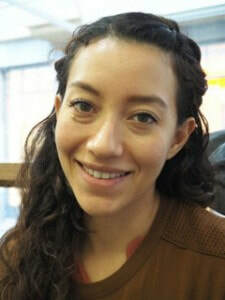 Anna is a conflict policy adviser to Oxfam's MENA region - supporting influencing, advocacy, inequality and humanitarian policy work across the region. On Syria, she provides strategic steer, guidance and support on operating in conflict settings. In her previous roles, she worked to establish a Community of Practice on these thematic issues within Oxfam. She has advised on country strategies, with a particular focus on governance, development, rights-based advocacy, active citizenship, and conflict-sensitive programming. 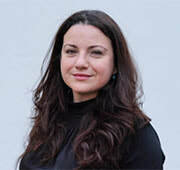 Prior to joining Oxfam, Anna worked for the Parliamentary Assembly of the Organization for Security and Co-operation in Europe (OSCE), where she directed parliamentary policy in the areas of human rights, humanitarian issues, democracy and rule of law. She has also held senior management positions in large-scale NGO emergency operations in protection, relief and recovery in Russia's (Chechnya) North Caucasus. 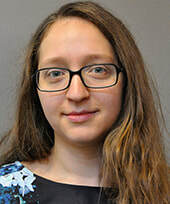 She is a US Fulbright and IREX fellow, and has studied conflict resolution in the CIS region at St. Petersburg State University in Russia, as well as minority and refugee rights in Bulgaria. She is bilingual in English and Russian, and is learning Farsi. "Addressing essential needs in fragile and conflict affected contexts requires a holistic approach and systems thinking. We often separate 'humanitarian' and 'development' approaches in these contexts - but is this a false divide? When it comes to protracted crises in fragile, mostly middle-income and often highly militarized contexts, aid agencies face a particular set of challenges. Where do security and development meet in the Middle East? How do we address both development and humanitarian issues in ongoing conflicts, and maintain our humanitarian commitments? How we approach partnerships in conflict is an important element of addressing these challenging questions. When working in the Middle East, conditions for humanitarian space and civic space impact the ways international organizations are able to form partnerships for development. In most contexts, development actors struggle with political economy analysis and sensitivities around conflict dynamics. In recent years, the international community has made a number of humanitarian and development commitments, including localisation of aid and finding pathways for peace (the development and security nexus). When applying systems thinking to conflict sensitive programming in Iraq, Syria, Lebanon and Yemen, agencies find themselves drawing on the full development toolkit to address complex human development challenges. While highly context-dependent, partnerships in development increasingly include local authorities (municipalities), think tanks and academic institutions, local NGOs and movements, media and the private sector. I will outline some of the key areas of policy discourse around conflict sensitive aid and partnerships for development in the Middle East, highlighting lessons learnt, challenges and opportunities, and will ask students for questions and comments on ways forward." In this talk, Evelyn will discuss the possible ways to use partnerships to improve global health. She will speak about the Principles of Partnership developed by the Health Partnership Scheme, and will introduce the work of Cambridge Global Health Partnerships highlighting some successful health partnerships. 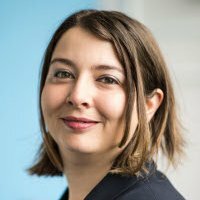 Evelyn Brealey is Programme Director for Cambridge Global Health Partnerships (CGHP) with responsibility for the strategic development and management of the programme. Evelyn was based in the Botswana Ministry of Health and Wellness managing the Botswana-Cambridge Health Partnership for four years. 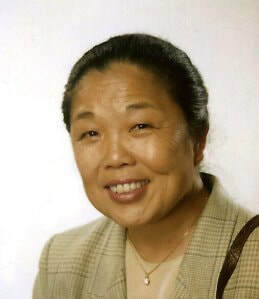 Prior to joining CGHP, Evelyn worked at Country Director level for six years in Central Asia managing social service development and welfare projects. Other work experience includes a desk officer role in an international children’s charity, project manager of a street children rehabilitation centre in Kenya, and welfare officer in a Rwandan refugee camp in Tanzania. Now a UK national Evelyn lived in Kenya until aged 27. Evelyn holds a Bachelor degree in Psychology and Politics and a Masters degree in International Child Welfare. Cambridge Global Health Partnerships (formerly called Addenbrooke's Abroad) was established in 2007. Since then, the organisation has established 4 global health partnerships across Africa, Latin America and Southeast Asia, improving the delivery of healthcare in over 59 countries. In Botswana, partners include the Ministry of Health and the Princess Marina Hospital (the main teaching hospital for the country’s only medical school). In El Salvador, partners include the National Maternity Hospital and the National Children's Hospital. In Myanmar, partnerships are focused on trauma departments. "My talk is a personal account of my 18 months stay in Greece where I volunteered for various organisations, befriended many refugees, and worked for Doctors Without Borders (MSF). I will start by giving an overview of the humanitarian migration crisis in Greece where 60,000 people have been stranded for the last 2 years. I will talk about my work at MSF in Athens and explore some of the collaborative efforts between the MSF sections and with other NGOs. I will then show you the human face of the crisis, some of the lovely, kind and generous people I met and tell you some of their stories. Finally, I will give some tips on how to get involved whether with MSF or as a volunteer. It may seem like there already are many organisations helping but every person can make a difference." Catherine worked for MSF Switzerland with the teams that provide medical services in Mental Health and Sexual Reproductive Health to refugees and migrants in Central Athens, Elliniko camp and Thermopyles camp. She managed a team of 11 cultural mediators (interpreters), and used her own language skills as a Farsi interpreter for Iranian and Afghani asylum seekers. In this talk, Ken will discuss how the West has handed out money and goods to poor countries for years, and yet poverty and suffering abound. What has gone wrong? What is the alternative? Porridge and Rice is focused on slums in Nairobi; it aims to improve the educational prospects for schools through food (although there are 7 programme areas in total). The charity is heavily partnership-based: it is supported in Kenya by the local leadership team which is made up of the head and deputy of each partner school. They also believe that partnership between like-minded organisations makes the charity more effective; they are active members of groups like Girls Not Brides and the London Declaration. It supports nearly 2000 pupils at five schools in the Nairobi slums. Porridge and Rice has served over half a million breakfasts of a filling African porridge, provided nearly a million litres of clean water for hand-washing, drinking, and cleaning, delivered over 3000 bars of medicated soap for handwashing, and grown over 1500kg of sweet potato to provide school children with Vitamin A.
Abhi is the chief commerical officer of Cambridge Wireless, where he is responsible for commercial operations, engagement with the start-up community, and is a key driving force behind CW Unplugged; an initiative aimed at the younger generation. Cambridge Wireless has over 400 members, ranging from major network operators and device manufacturers to innovative start-ups and universities. CW stimulates debate and collaboration, and acts as a platform for sharing knowledge and building connections. There are members of CW focused on social impact and development. CW has a number of special interest groups, including The Healthcare Group. In 2018, CW Unplugged is also hosting a programme of tech-for-good, focused on four of the seventeen Sustainable Development Goals: upcoming events include FemTech and Agri-Tech & Water. 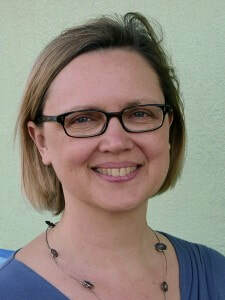 Dr Lara Allen has worked extensively in international development and in academia. 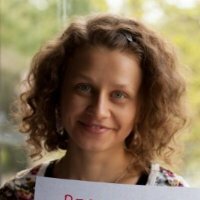 As well as being the Executive Director of CGE, Lara is the Director of Implementation & Impact at Cambridge Global Challenges Strategic Research Initiative, and an Affiliated Lecturer: Centre of Development Studies, University of Cambridge. She has a PhD from the University of Cambridge and was an Associate Professor at the University of Witwatersrand in Johannesburg, South Africa. In 2007, she co-founded Tshulu Trust, which links rural communities in the Venda region of South Africa with universities around the world. The Trust enhances the livelihoods and well being of local communities through knowledge sharing, capacity building and the creation of income generating opportunities. Lara ran Tshulu Trust for eight years. She then spent two years with the Irish NGO Misean Cara, as Head of Research, Monitoring and Evaluation, Capacity building and Communications. 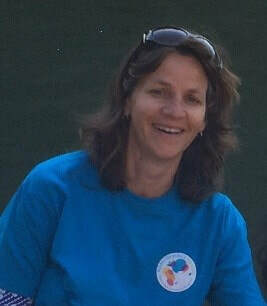 Lara became the Director of the CGE (then the Humanitarian Centre) in October 2014. Dr Sara Serradas Duarte has always had a strong commitment to the social impact of Science and Education. 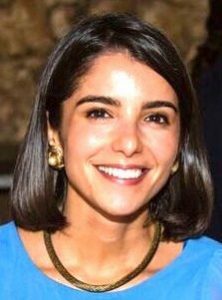 While conducting her PhD in Neuroscience at University of Cambridge, Sara founded secondGO, a social start up that extends the educational opportunities of university students to others, and was the president of Beyond Profit, the social entrepreneurship society at Cambridge. The combination of these opportunities, her childhood in Mozambique and her previous experience as a teacher made her realise the central role universities can have in addressing the world’s development needs. This led Sara to work with WaterScope, a University of Cambridge-based social start up that combats water inequality through an innovative water-testing kit, and to then join the Global Challenges Forum, a University of Cambridge academic network focused on innovation for the Sustainable Development Goals coordinated by the Centre for Global Equality. In this session, Dr. Dominique Chadwick will show clips from her films and participatory media projects. She will discuss the filmmaking and training process related to those clips and will look at the impact this process had on the participants, the local communities,the NGOs and aid agencies she worked with in close collaboration for the past 20 years. Dominique is a film-maker and trainer in media participatory projects with a background in development and education. She has created films and documentaries in many parts of the world in the last 20 years, working in collaboration with various ministries, aid agencies and NGOs (examples include Oxfam, PLAN International, the United Nations Development Programme, and Womankind). Dominique is a trainer in participatory video projects. She has trained groups from a range of backgrounds, including women’s groups, HIV support groups, and young children. Dominique values the videos produced from these projects, but also emphasises the importance of the projects as a vehicle for communication within the communities. 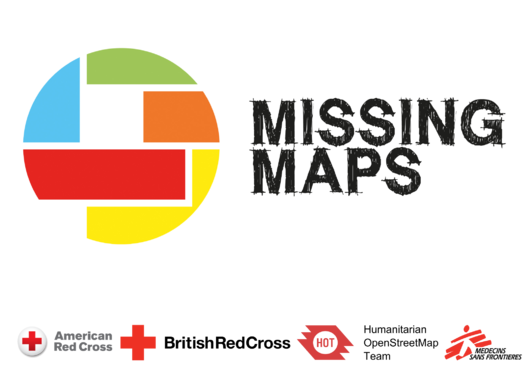 Missing Maps is an open, collaborative initiative, founded by Médecins Sans Frontières/Doctors Without Borders, the British Red Cross, the American Red Cross, and the Humanitarian OpenStreetMap Team (HOT). The idea is to map the most crisis-prone parts of the developing world. It enables local and international NGOs to respond more quickly and efficiently to crises, and so directly saves lives. NGOs request help from volunteers mapping an area. Once volunteers have created a digital map using satellite imagery, NGOs work with locals to fill out important details on the map, such as community centres and schools. Examples of current NGOs requesting help: MSF, The Red Cross, The World Bank, The Clinton Health Access Initiative. Steve and Iain will run a mapathon: they will teach attendees how to use the HOT Tasking Manager to create a digital map that helps people in vulnerable areas. NOTE: Attendees need to bring charged laptops to participate in this activity, laptops will not be provided. Space is limited: attendees must register their place on the emailed form. Technology Panel: "How to develop technology for the developing world"
In 2008, 1000 PlayPumps, at a cost of $14,000 each, were installed across Africa. The idea was ingenious: water would be drawn from the ground as children play on a roundabout style pump. Now most lie unused and rusting: calculations suggested that kids would have to play 27 hours a day for the PlayPump to provide enough water. A year later, Proximity Designs released a gravity fed drip irrigation system. The device halved water usage for irrigation, increased crop yields, and reduced the labour required to tend a plot of land. It cost only $65 and was purchased by thousands of farmers across Myanmar. The Technology panel aims to assess and critique design methods such as these. Drawing together experts in the field of Tech for Development, we will discuss what makes for a successful design methodology in a developing world context, how these approaches may differ across countries and sectors, and examine the challenges associated with the scalability of tech4dev. Helen is recognised internationally as an expert in diagnostics, who has long been interested in meeting the diagnostic needs in developing countries. Helen founded Diagnostics for the Real World, which notably rolled out "SAMBA II": a transformative point-of-care diagnostic which gives instant results for the detection of genetic material from the HIV virus. This work has been funded by The Wellcome Trust and the National Institutes of Health, amongst others. Simprints is a nonprofit tech company that built an affordable and rugged fingerprint scanner, to use bridge the identification bottleneck found in many developing countries. While pursuing a PhD in nanotechnology, Alexandra co-founded SimPrints. Simprints partners with a number of NGOs, to enable their workers to use the technology to identify people. Their technology is currently used to track teacher and student attendance, improve vaccination coverage, and fight disease, amongst other uses. Clara has worked as a consultant for the World Health Organization (Switzerland) and UNICEF Supply Division (Denmark) providing guidance on medical devices required for maternal, newborn and child health interventions. Before joining the Cambridge University, she worked for the Institute of Public Health at Heidelberg University as a researcher assistant. Her research included analysis of factors for adequate implementation of mHealth projects in Africa, and the impacts of climate change on health (malnutrition). Her current research is studying the process of designing medical devices for low-resource settings and develop tools to support designers to develop contextualized and situated devices for that type of settings. Andrew has 25 years' experience of designing, establishing and managing a variety of international development interventions, particularly in applying ‘systems thinking’ to building local capacity to make informed decisions; protecting and promoting child rights, building resilience to climate change and conflict and scaling innovation. 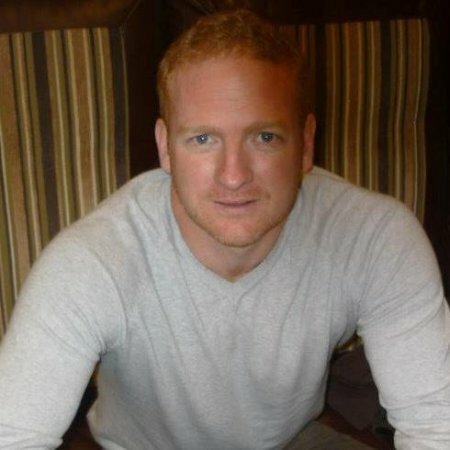 After over 12 years in based in rural locations in Kenya & Malawi and further extensive travel in East & Southern Africa, Andrew is now with the international development organisation Practical Action. 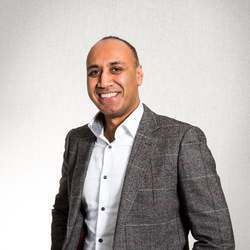 In his current role as Strategic Business Manager, his focus is on supporting Practical Action country offices to improve the quality of the projects they deliver, develop strategic partnerships and generate more business. Education Panel: "How useful have our efforts to better the world through education been?" How successful have education projects been in terms of bettering the life chances of individuals? Is it better to focus on other areas, such as economic development or gender equality? Have projects focused on primary-level education at the cost of secondary and higher education? Has there been too much emphasis on building schools and providing equipment, and not enough on teacher training and curriculum-building? How do we even measure the impact of education in the the developing world? These question are difficult to answer; this panel aims to spark discussion, and introduce attendees to some of the main debates taking place. Terry has extensive experience with education in a development context. He spent 17 years in the University Department of Educational Studies, leading the Oxford contribution to the creation of the Institute for Educational Development at the Aga Khan University in Karachi (Pakistan). He left Oxford to join the Department for International Development as a senior education adviser, with responsibilities in various African programmes. He was the second Director of the International Research Foundation for Open Learning. 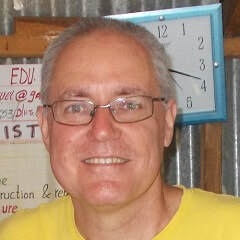 Terry now acts as a consultant in all aspects of educational project and programme design, monitoring and evaluation. In the last 5 years he has consulted for DFID, The World Bank and UNICEF, amongst other organisations. Chrissybil assists with research and policy advice at the OECD/UNDP Effective Institutions Platform and provides communications support to the International Dialogue on Peacebuilding and Statebuilding Secretariat. 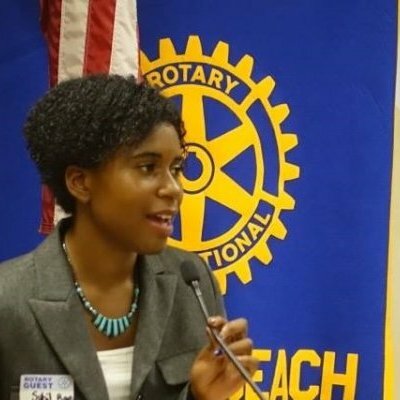 Prior to joining the OECD, Chrissybil worked with former U.S Democratic National Committee Chair Congresswoman Debbie Wasserman Schultz and for the Supreme Court of Florida. Currently, Chrissybil serves as a United Nations Global Youth Ambassador for education. She is passionate about local capacity building and sustainable economic growth in countries affected by conflict and fragility. Chrissybil is also founder of Merkabah International Foundation, a start-up organisation, which partners with pre-existing schools in Haiti and abroad to play a role in advancing innovative curriculum for all children, focusing particularly on those from economically disadvantaged countries. Merkabah creates and distributes STEM, art and mindfulness based curriculum to educational institutions abroad at a cost and provides a version of this curriculum to schools in Haiti at no cost. Merkabah’s purpose is to create a ‘hands on methodology’ to promote wellness and community building through a double pillar (art and STEM) educational approach for Pre- K – 2nd grade students. This holistic approach is designed to boost creativity while equipping teachers and students with the vocational skills necessary to encourage human wellbeing, practical innovation, and capital growth. Jelena completed her PhD in Genome Sciences/Genomics in 2012. She has worked in a number of organisations focused on health and impact: she founded the Cambridge Rare Disease Network, is the CEO of GeneAdviser (an online marketplace for genetic testing, focused on improving global access to genetic testing), and has been involved with TReND in Africa for over 5 years; she was the Director of Bioinformatics, and is now their Director of Strategy and Development. TReND is a charity supporting the development of scientific research in Africa (TReND stands for Teaching and Research in Natural Sciences for Development in Africa). They are a global network of volunteer scientists who believe in supporting African autonomy and sustainable development through higher education and scientific innovation. TReND runs university level training courses and ships donated lab equipment. to help African scientists leverage low cost approaches (such as cheap model organisms, open source technology, 3D printing, RPis) and develop their own research programmes. They also run science outreach programs for school students to boost scientific literacy and encourage careers in science. 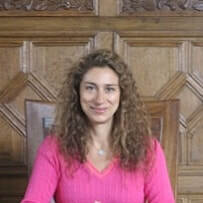 Sonia is a Senior Research Fellow at Cambridge Faculty of Education, working on projects related to inequalities in access to, learning during, and outcomes of, education. Her research uses quantitative methods applied to large scale survey data and includes randomised controlled trials of programmes aiming to narrow the socio-economic gap in school attainment and higher education access. She has published on access to higher education in both England and low- and lower-middle income countries, and has extensive experience as a data analyst on a range of research projects. Sonia is one of 15 core faculty members of the REAL Centre (Research for Equitable Access and Learning). The REAL Centre pioneers research into overcoming barriers to education, such as poverty, gender, ethnicity, language and disability, and promotes education as an engine for inclusive growth and sustainable development. Peter had a 30-year career in the civil service. Following retirement, he became a volunteer for Oxfam. 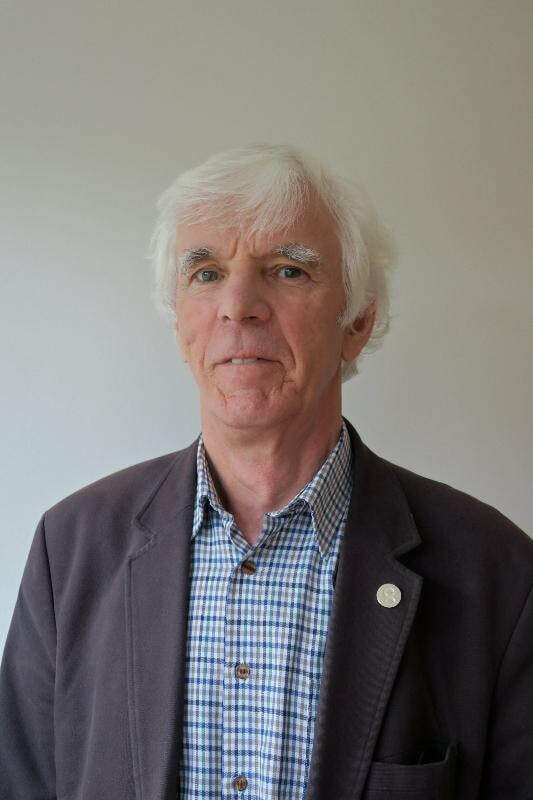 For the last eleven years he has been a speaker for Oxfam, giving talks and running workshops in schools, scouting and adult groups on such topics as the work of Oxfam, inequality, climate change and education.